It was back in December, when we heard the news of Apple looking to buy 160-acres of land in Prineville, Oregon. 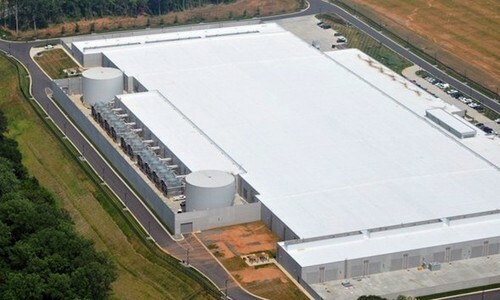 It was reported that the Cupertino-based technology giant was up to set up servers to power its iCloud, similar to the $1 billion data center, company owns in North Carolina. Pointing to KTVZ article, MacRumors confirms to us that Apple has bought the said land with a view to establish a large data center there. Tech giant Apple Inc. confirmed Tuesday to NewsChannel 21 that it plans to build a data center at a 160-acre parcel in Prineville it just bought from Crook County for $5.6 million, a stone’s throw from the huge facility built by Facebook. According to reports, the Cupertino-based technology giant has purchased the land for $5.6 million on February 15th, to set up their own new data center. Location-wise the purchased land is not too far from the large data center of Facebook. It is said that the new data center will be used to power the Apple’s iCloud service, together with other services. It is important to note here that Apple is already hosting a good number of smaller data centers in different parts of California. On the technical side, having a data center opened in a city is not of much worth to the local population, as they usually don’t provide much job opportunities to the locals and also they consumed too much of power. For instance, Apple’s new data center in Oregon is supposed to be powered on 31-megawatss of power, enough to power 22,000 houses. The data center, on the other hand, will also bring small implications, such as short-term construction jobs. It will, however, bring a considerable boost in tax collection to the area. With the growth of company, the demands for servers to power the large range of products will also increase.